As I've mentioned, our weather has been warm the last few days. Friday night we got a good, soaking rain, and the combination of the two has woken up many of my bamboos. They're starting to shoot! 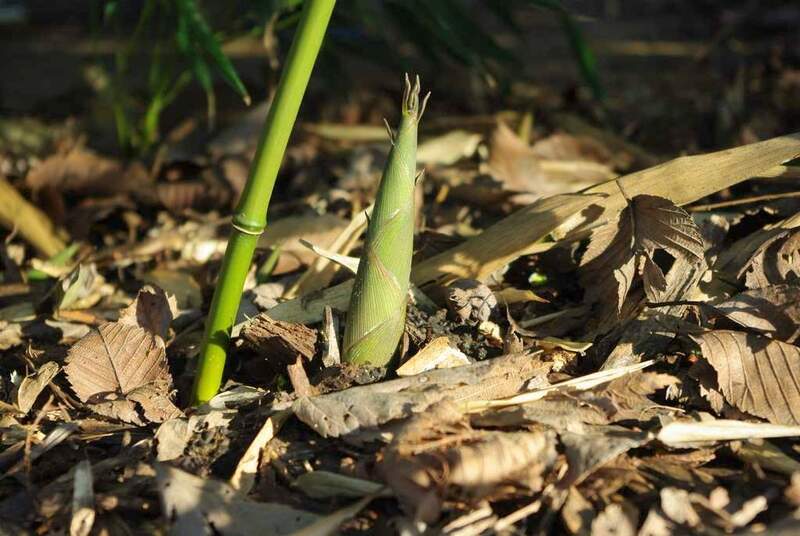 I grow mainly running bamboos, which produce a network of rhizomes, from which the culms (or canes) are produced. 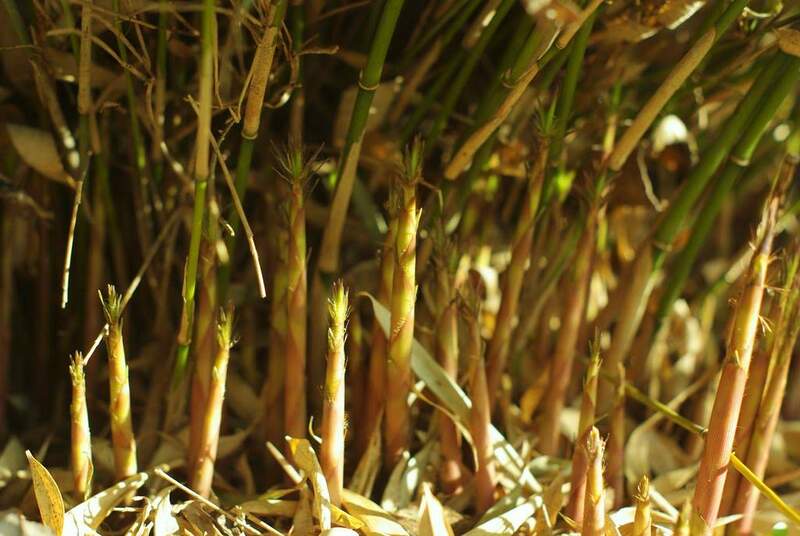 Most of the species I grow produces new shoots in the Spring, although some are later than others. 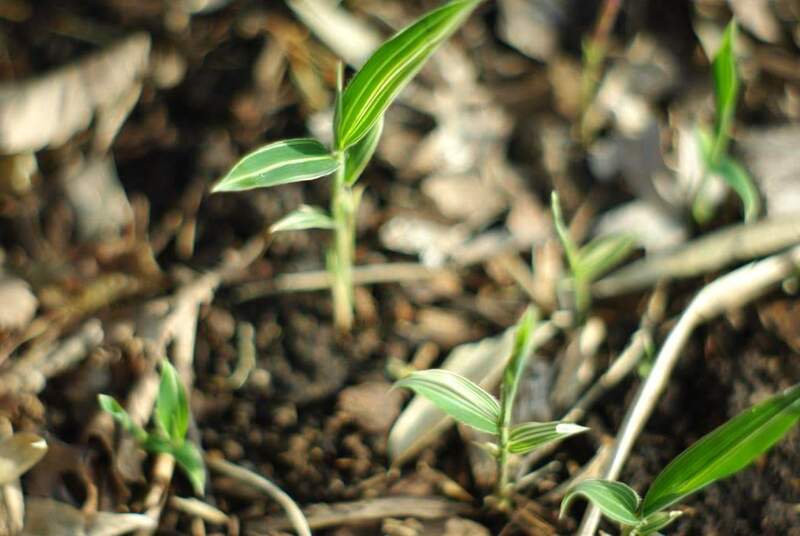 The shoots will reach their final height over the next month or two. 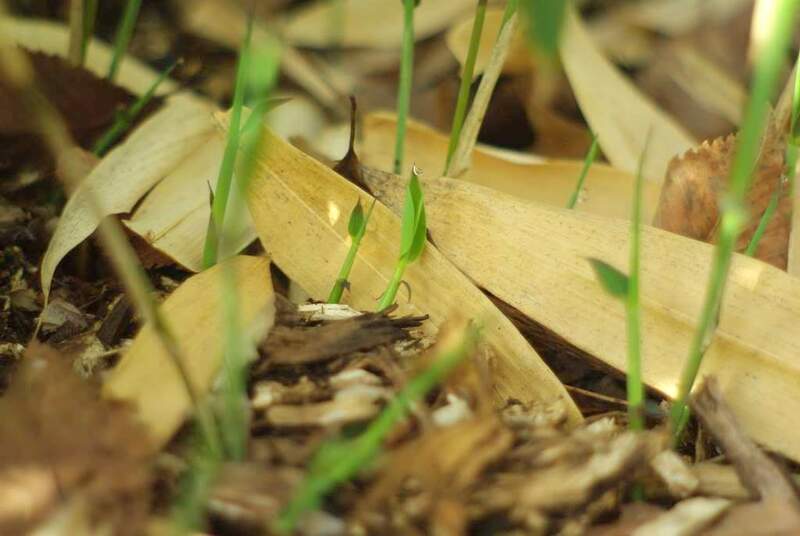 The shoots of different species are quite unique, and sometimes are the only way to identify a species. I'd like to say that they come in "all shapes and sizes", but that's not true as they are all pretty much the same shape. Sizes? Yes, they come in different sizes. 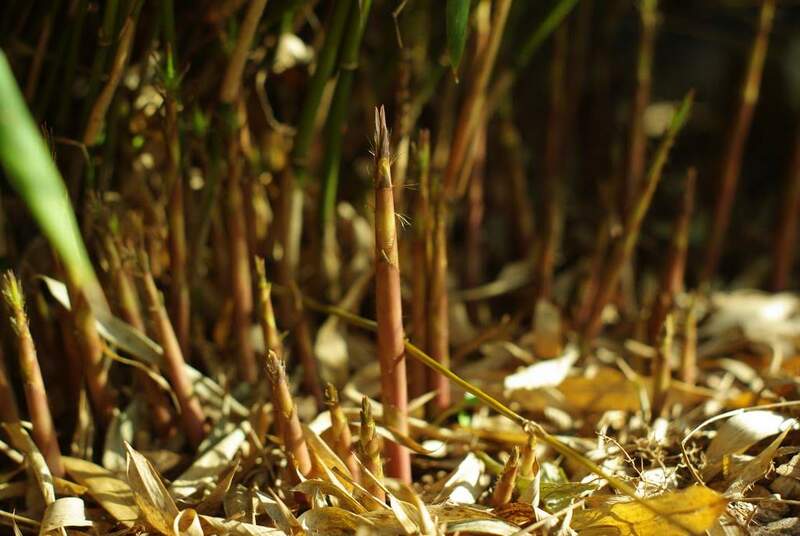 Until a plant becomes established and reaches maturity (which can take 5 years or more, depending on the species), each year's shoots will for the most part be larger than those of the previous years. 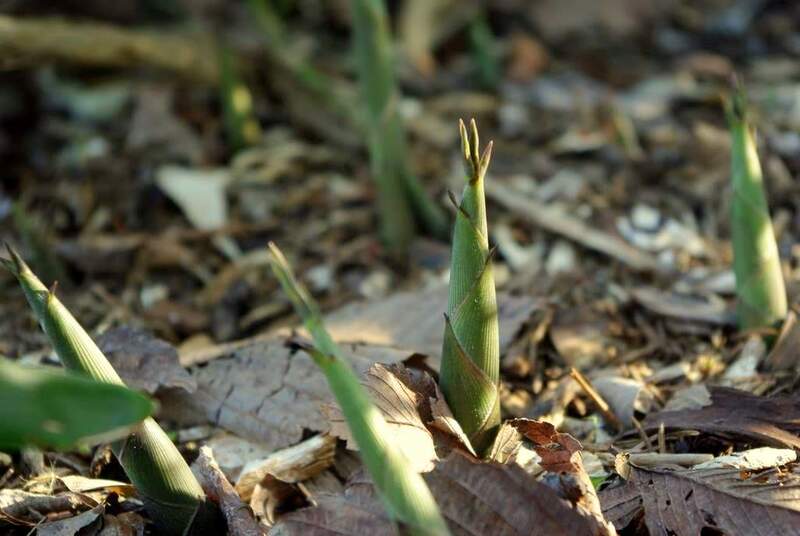 New shoots can appear in a matter of hours, so it's fun to check the plants a couple of times a day to see what has popped up. 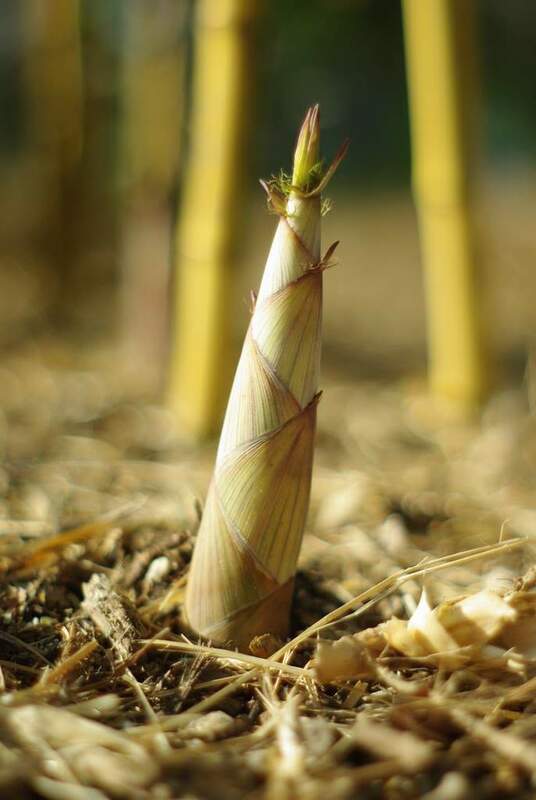 Bamboo shooting season is an exciting, beautiful time. 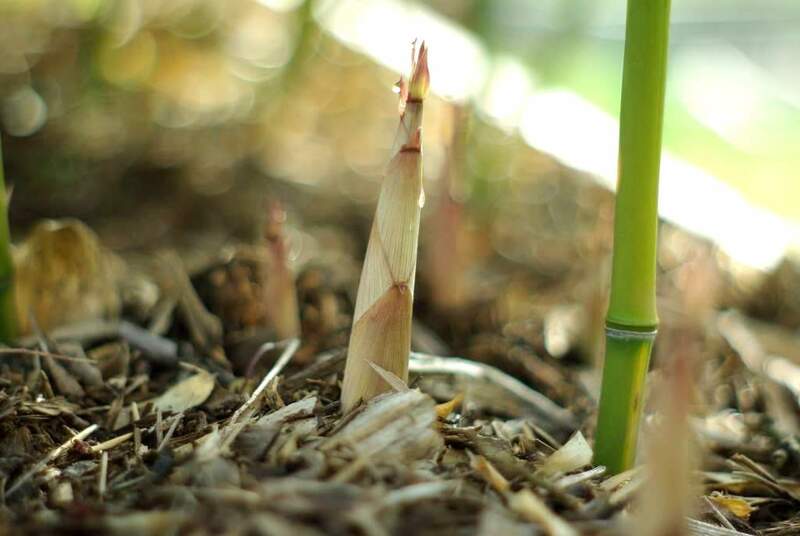 Bamboo will take over everything Roots spread underground chocking out other beautiful plants & killing them. 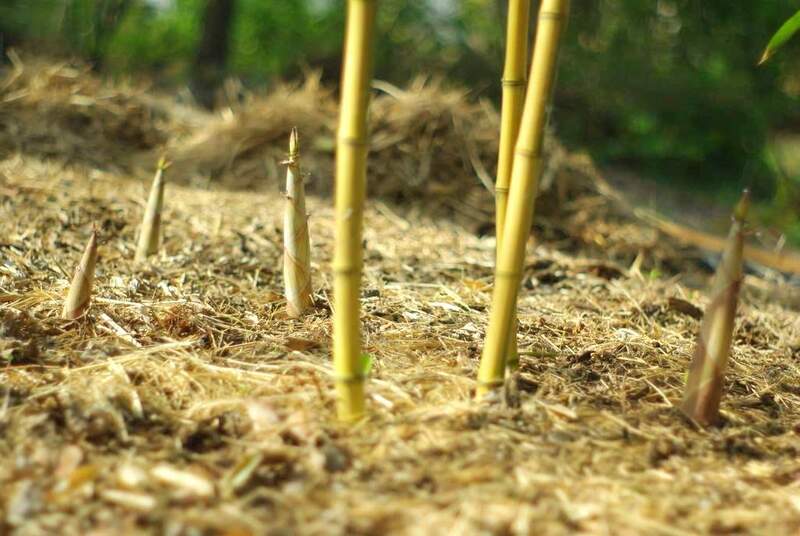 Bamboo is an invader, not beautiful when you can't keep it from spreading and you want to eradicate it. Of course it will take over if you don't do something to control it -- as will hundreds of other plants. The only difference is the effort required to do so.